Councilwoman Meg Salyer, who represents Ward 6 in central Oklahoma City, has introduced an amendment that singles out Heritage Hills and Edgemere Park — known for historic and increasingly expensive homes — and requires residents there to obtain a special exception from the Board of Adjustment and to be present during any rental. The amendment also proposes reducing the special exception fee from $1,200 to $300. The overarching ordinance for the entire city of Oklahoma City has yet to be formally adopted and outlines new rules for homesharing, such as rentals not to exceed 30 consecutive days, compliance with applicable building or fire codes, obtaining a license and paying fees and hotel taxes. After first being heard and forwarded by the planning commission with no action on July 12, the ordinance was introduced to council on Aug. 14th. The annual license would be $24. In advance of final adoption of the new ordinance, the city has already started to collect fees. A group of concerned homeowners has hired local attorney Cameron Spradling to represent their interest as they generally oppose the amendment proposed by Salyer. Spradling has forwarded a memorandum to the municipal counselor's office that outlines several issues that could result in lawsuits against the city should such restrictions be enacted. The memorandum cites case law and suggests the amendment may be ‘arbitrary or capricious,’ the special exception might represent an unlawful tax, and the problematic nature of singling out two neighborhoods without showing detrimental impact or why they would be subject to special treatment. The memo goes on to point out that requiring that the ‘owner must occupy’ improperly imposes a restriction without showing a rational basis for treating these specific areas in a unique manner. 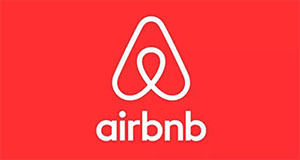 Airbnb is a privately held company based in San Francisco that is the most popular service for facilitating homesharing, with 2017 revenues reaching $2.6 billion. Guests search for lodging on their online site and are matched with homeowners who are willing to rent out some or part of their residences. The practice has seen rapid growth in recent years as travelers seek alternatives to traditional hotels. Edgemere Park is roughly bounded by NW 30th Street, NW 36th Street, Walker Avenue and Interstate 235. Heritage Hills is located between the Midtown and Uptown 23rd Street districts just north of downtown. The new lodging ordinance being considered in Oklahoma City is in direct response to services such as Airbnb and its competitors and an attempt to regulate and collect tax similar to those paid by hotels and motels. An online search through Airbnb's website yields more than 300 current listings within the boundaries of Oklahoma City. City Council will consider the amendment at their next meeting, Tuesday, Sept. 25.